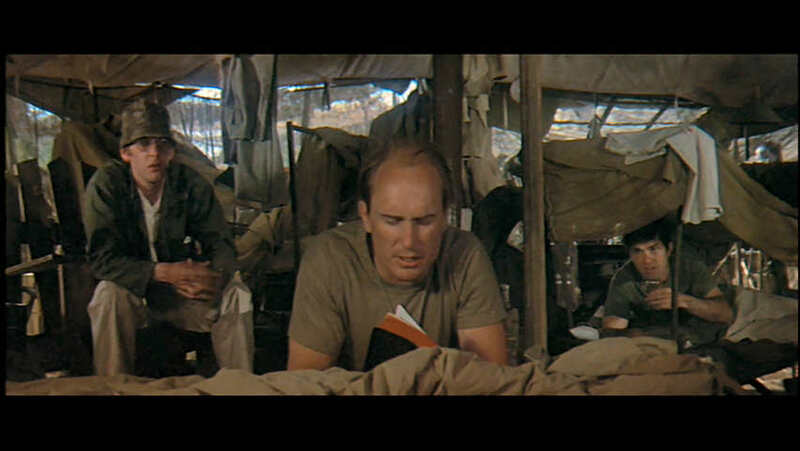 The first thing I learned is that the film version is MASH (1970), and the television version is M*A*S*H. I know the DVD cover and various articles include the stars in the title, but in the film they are clearly not there. Lots of movies in the AFI top 100 are great because of how they changed the business. 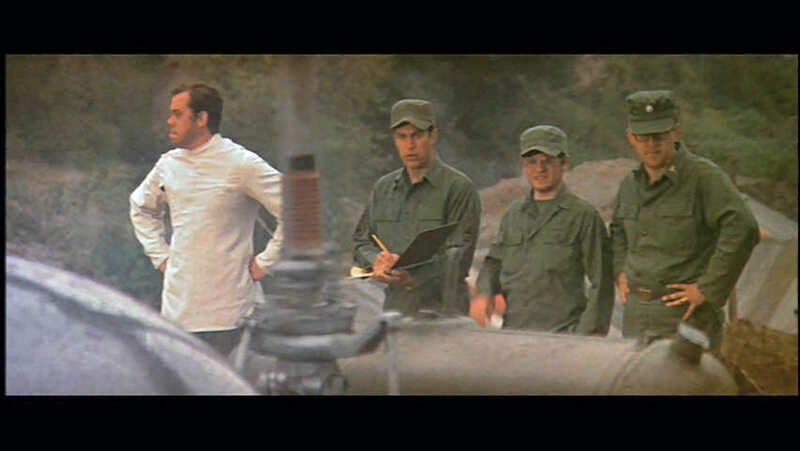 MASH is one of those, though that doesn't remove its excellence as a film. But many people would, I think, find it a little boring, not funny enough, somewhat disjointed. 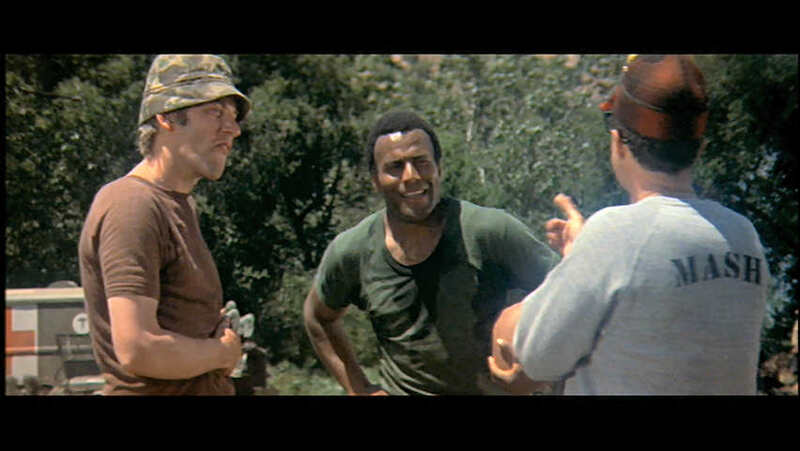 The greatness of MASH is in its use of an ensemble cast, its irreverence, and its risk taking. There are no stars. Take a look at the credits. After the producer, the next listing for actors is "Co-starring". And, while they're well known now, none of these actors were big names at the time. 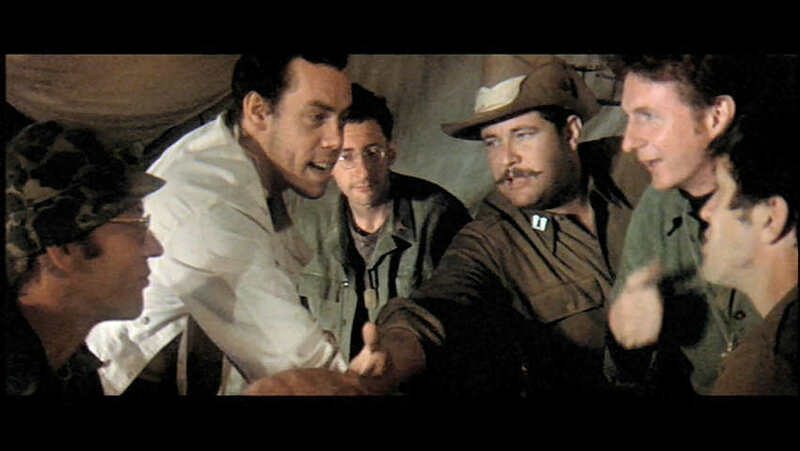 MASH was directed, almost in guerrilla style, by the late Robert Altman. The special feature that discusses the film is very interesting, especially regarding how the actors couldn't figure Altman out. Here's your trivia. 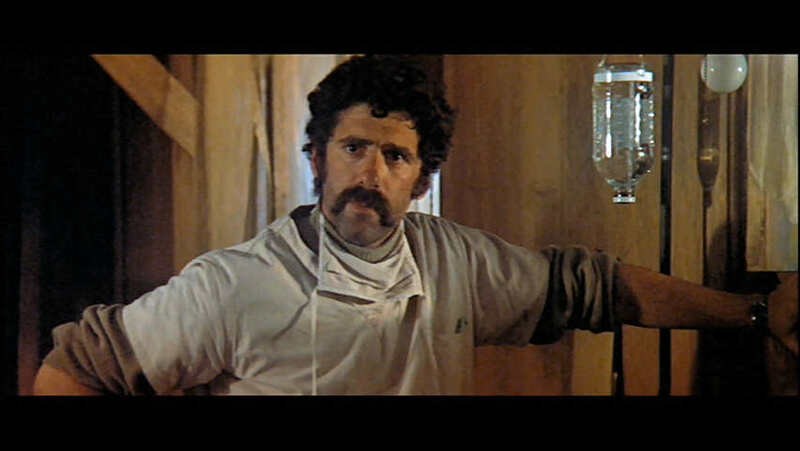 The lyrics of the title song "Suicide is Painless" were written by Altman's fourteen-year-old son, Mike. According to the IMDB, Mike made more money from the film than his father. 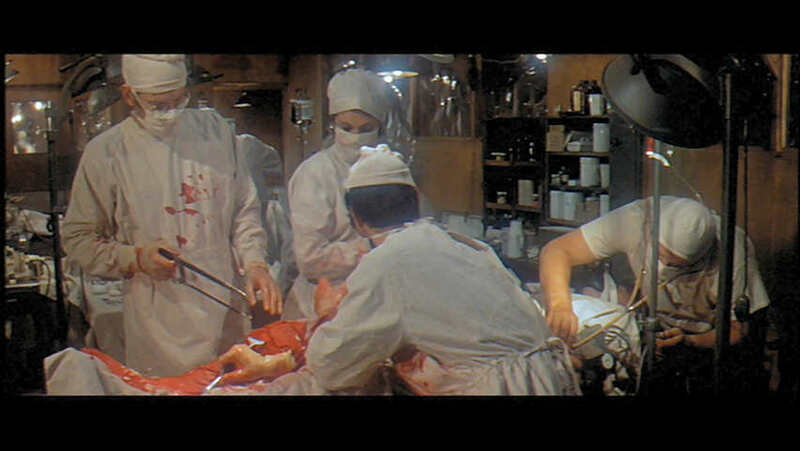 One of many "operating theater" scenes that the studio was concerned about. 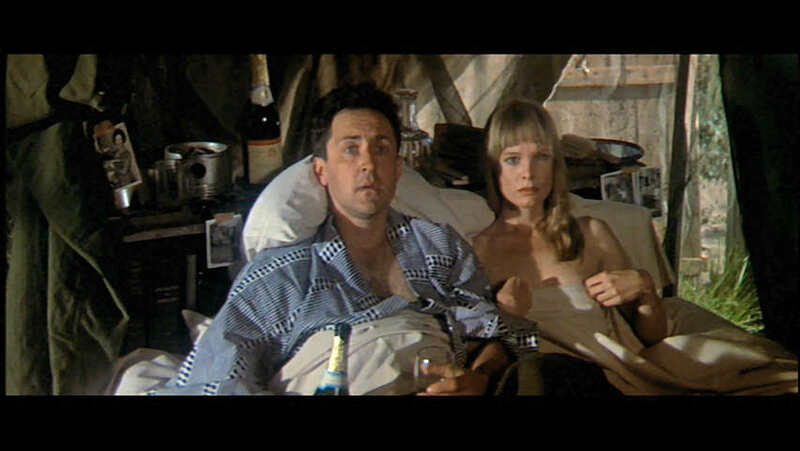 The wanted to remove them, to which director Altman responded, "If you take out those scenes, we don't have a movie." 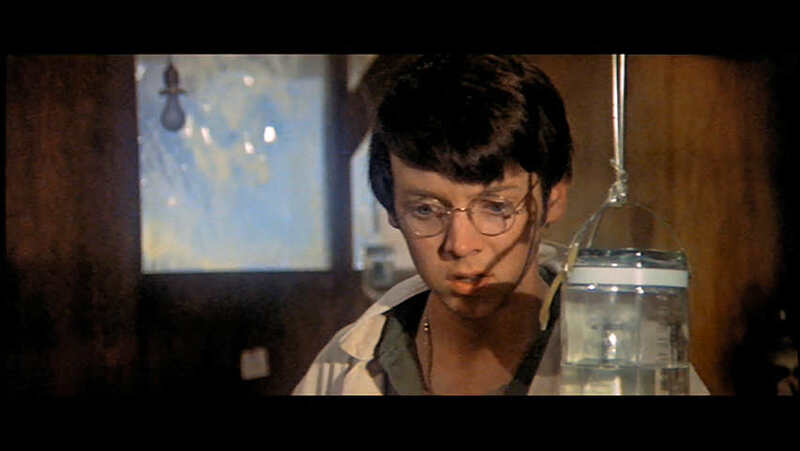 Bud Cort in a heart breaking scene. 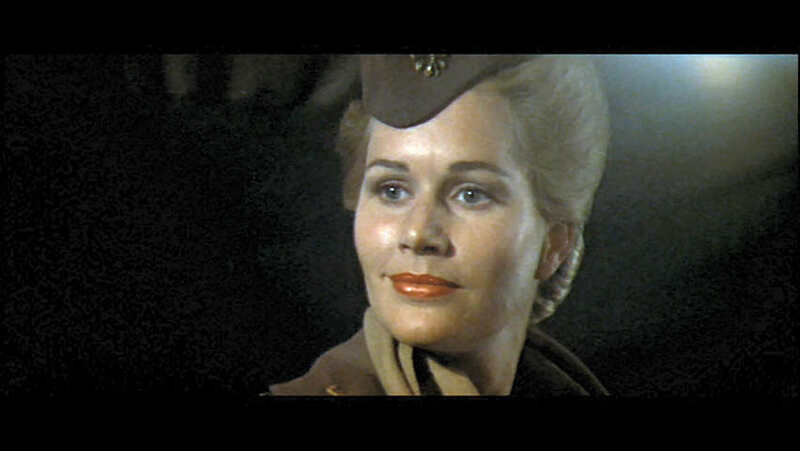 Sally Kellerman, in one of the more stunning shots of the movie. Did I mention irreverent? 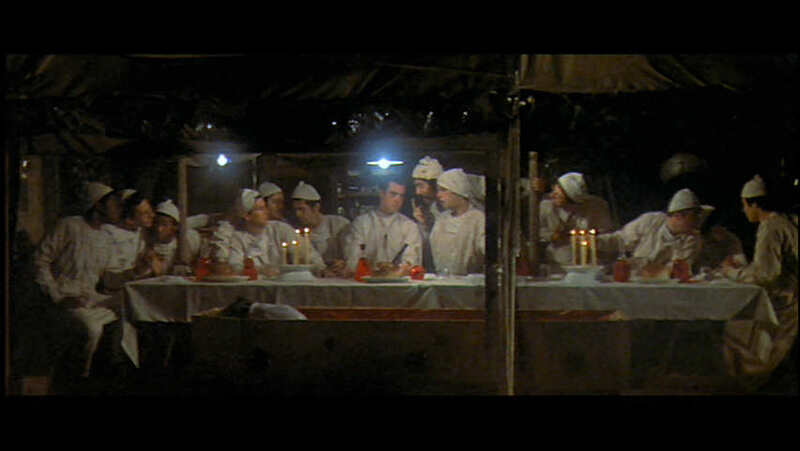 Here's the cast, preparing for John Schuck's suicide, in a live action version of Da Vinci's The Last Supper. Roger Bowen and--I'm sorry, I don't know. Her character may not have been named in the movie.